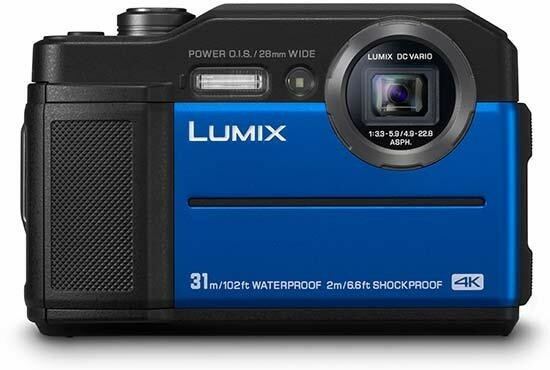 On paper, the Panasonic Lumix DC-FT7 is the probably just about the best underwater/tough model you can buy right now. It has all the specs you’d expect from a camera like this, particularly the best underwater credentials on the market, as well as a good range of other tough features. A number of other specifications, such as 4K Photo, inbuilt Wi-Fi and USB charging make it appealing for other reasons, too. While on the whole, your smartphone (particularly if you have a high-quality one), will be more than adequate for taking pictures when you want to travel as light as possible, if you’re somebody who likes adventure holidays, then a compact camera like the Panansonic FT7 makes a lot of sense. Even if your adventures are relatively tame, such as summer afternoons on the beach or camping trips, having a waterproof and tough model is worth considering. That said, Panasonic hasn’t done much to push the boundaries of what is expected from a tough compact with the FT7. We’re still waiting for somebody to release a one-inch sensor tough compact that will produce high image quality and not leave us with such a compromise. It would more-than-likely cost a lot of money to buy, but if you’re somebody who wants to properly document their costly adventures, such as skiing, snowboarding, kayaking and so on, spending a chunk of money on a brilliant camera may not be something you’re too worried about. With an asking price of around £400, the Panasonic Lumix DC-FT7 hardly represents an impulse purchase, either. Its biggest competitor is the Olympus Tough TG-5, which is currently available for around £380. On paper, the Panasonic TG-5 looks like the better option - and in some respects it is - it offers deeper waterproofing, an electronic viewfinder and more pixels. However, in reality, very few people need such deep waterproofing, the electronic viewfinder is best reserved for when you’re really desperate and the extra pixels can actually be a hindrance when it comes to low-light shooting. If you like the Panasonic brand, or perhaps if you’re one of the few that needs 31 metre waterproofing, the Lumix FT7 is the obvious choice, otherwise, the Olympus TG-5 is probably the better one.